George Bruns’ Academy Award-nominated score dominates nearly the entire first disc, amounting to just over one hour of tunes. The lush music matches the visual aesthetic of the film. They move with one another in perfect harmony. On its own, though, the score possesses a mixed bag of tracks. On one hand, some of the main themes are zippy and resplendent, but after hearing some of the similar-sounding tunes over several consecutive tracks, you might become slumbersome yourself. Most everything reverberates with “beauty,” appropriate, considering the film’s title. From the grandness of the strings to the pomposity of the horns, the music feels like Fantasia lite. This presents varied feelings and emotions in the process. While I did not grow up watching Sleeping Beauty, I can appreciate its nobility. However, the music almost hits you over the head with that sentiment, save for a few tracks. The sprightly “Burning of the Spinning Wheels/The Fairies Plan” track defies the stately vibe of the three initial segments. “A Cottage in the Woods” comes across as peppy and greatly represents Bruns’ inspiration from Tchaikovsky. The liner notes of Sleeping Beauty: The Legacy Collection reference how intensely Bruns listened to his orchestration for stimulation. The jovial “I Wonder” most certainly feels like Bruns wanted Sleeping Beauty to represent a then-modern ballet. Mission accomplished. However, the standout lies in its main song “Once Upon a Dream,” whose track also includes some introductory instrumentation generally omitted from other recordings. Mary Costa’s heavenly, almost operatic vocals lovingly complement Bill Shirley’s gallant voice. I value how the aforementioned notes provide context on the casting and score formation. Thus, this makes the listening experience – sometimes ho-hum with those repetitive musical choices – more rewarding. How many of you love a good chorus? I belong in that company of enjoying this form of music, but it depends on the situation. Here, the vocalists come off as having rich voices, yet almost in a conformist manner. The era and fantasy nature of the film account for the style, which could be considered an acquired taste. Perhaps if I had stronger memories of Sleeping Beauty, which I could actually remember, my perspective would differ. After all, many things we adored in our childhood continue as we age. I more frequently chose to watch Peter Pan and Lady and the Tramp, if you consider Disney films of the 1950s. Both have several choral pieces, too. Perhaps they do not seem as oppressive and bothersome as they sound in Sleeping Beauty: The Legacy Collection. In small doses, however, it’s welcome. Other tracks convey familiarity in their grand, if not standard, format. Despite my judgments on Bruns’ repetitiveness, he absolutely deserved his Oscar nomination. 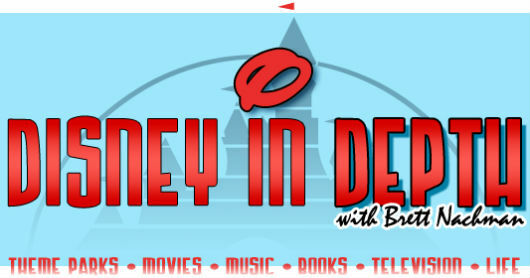 Out of all of his Disney productions, this may very well embody his most supreme work. Just know going into listening to the soundtrack that all tracks start sounding alike after 10 minutes. The brief second disc contains some songs removed from Sleeping Beauty. As you might expect, portions are more thorny than others. The demo version of “It Happens I Have a Picture” has some fun interplay between voice actors Hans Conried (otherwise known as the voice of Captain Hook) and Bill Thompson. Interestingly, this represents more of a conversation, whereas the other version presented is in song format. I only wish the demo was in a song version, as Conried’s seminal voice would have sounded even better if actually sung. “Riddle, Diddle, One, Two, Three” feels like an early take for “Canine Crunchies” from 101 Dalmatians, due to its jingle format, albeit thankfully scrapped. Its high-pitched annoyance will surely stay in your head. The newer version by Cindy Robinson and Linda Kerns improves on the material with more instrumentation. Conried and Thompson actually sing in the demo for “Evil-Evil,” which was not used in the movie either. I heard this performed for the first time at the inaugural D23 Expo and remember thinking that this served no purpose, especially not for the Maleficent character. This song belongs in “The Lost Chords” for a reason. The four bonus tracks feel reminiscent of the Disc 1 tracks, primarily because of these featuring alternative versions of the most identifiable musical pieces, such as “I Wonder” and “Once Upon a Dream.” Costa’s rendition of “Once Upon a Dream” is flawless and more expressive here, accompanied by Bill Lee. At least these justify a listen. 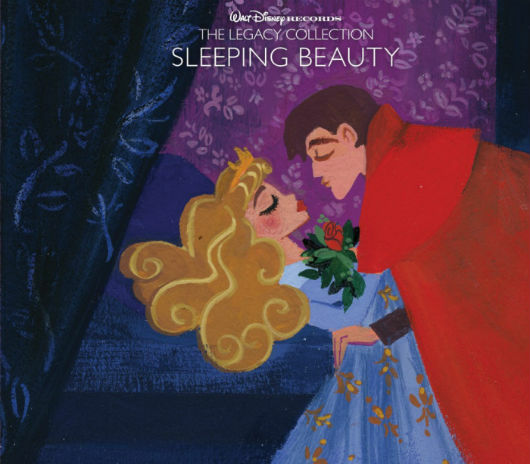 More likely than not, though, if you purchase this soundtrack, you would want to listen to the bonus tracks on repeat because they illustrate Sleeping Beauty‘s most irresistible qualities.